1800's late, Marja's parents born. Marija's mother Veronika was the youngest of nine children -- when Veronika was six months old her father died, and the mother raised the family alone. Veronika and her sister Julija became two of the first female physicians in Northeastern Europe -- Veronika was an occulist and Julija was a dentist. Marija's father Danielius Alseika was a writer, folklorist and a physician. Marija's parents met while they were both working on their doctorates. 1927, Marija's parents establish a Montessori School for her, piano lessons begin. Her Mother has Sunday salons where all the great intellectuals and artists of Vilnius gathered. 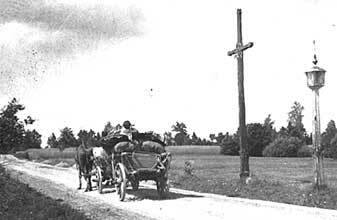 1931, Family begins move to Kaunas because Vilnius is occupied by Poland. Father refuses to move and continues to fight the Polish occupation. 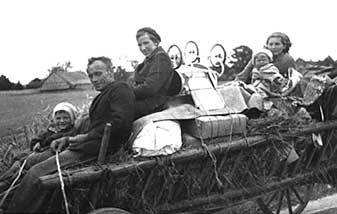 1933, Family in Kaunus. Marija can only visit her father and Vilnius by hiding in a horse and wagon to cross the border. 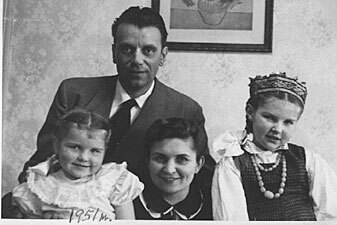 1938, Began studying at Great University in Kaunas -- first studied linguistics. 1942, June: Completion of her masters degree in archaeology, in Vilnius, begining her post graduate studies and publishing articles. 1944, Soviet army defeats Germany and occupies Lithuania. July 8: fled Lithuania as a refugee. Dissertation under one arm and baby under the other, she leaves her Mother on the shore sick with the flu, fleeing on the Nemunas River on a raft. They take a train to Vienna where they meet other refugees, and then to Innsbruck Austria, where Jurgis gets some work in a factory until it is bombed. They escape over the mountains by bicycle and arrive in the farm country of Germany. 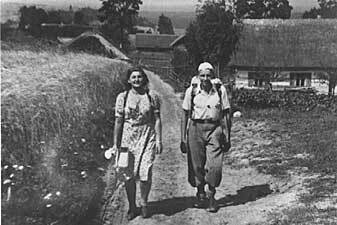 1945, On a farm in Germany, go to Tubingen, Germany. 1950, Recognized at Harvard University, begins translating ancient text and wrote on European prehistory. 1955, Named Research Fellow of Harvard's Peabody Museum (a lifetime honor). Harvard years were very difficult but she received strength from Mother, Aunt and Cousin....Meile and Inga, still in Lithuania. Mother supported a draftsman to work on the Bronze Age volume. Mother did the thousands of drawings in Lithuania, sending them to Marija by mail. 1956, "Prehistory of Eastern Europe"
1960, Lectures at an Orientalist congress in Moscow, seeing her mother for the first time since 1944. This is a great story about how she had to pretend not to know her Mother etc. Returns briefly to Vilnius for 2 days. When she returned to LA she was accused of being a Russian spy. 1965, "Bronze age cultures of Central and Eastern Europe"
1969, She was an exchange professor with the USSR through the American Academy of Sciences. 1969/71, Excavations at Anza, Macedonia. 1973/75, Excavations at Achilleion, near Farsala. 1977/80, Excavations at the Scaloria cave sancuary near Macedonia, Southeast Italy. 1979. Organized the first interdisciplinary conderence on "The Transformation of European and Anatolian Culture". 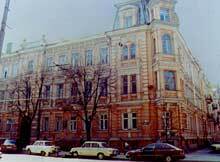 1981, Returned to USSR with the American Academy of Sciences on Fulbright fellowship. Lectured in Vilnius University. "I counted and I had in my audience something like 3,000 people, throughout 2 months of lecturing. And there is an organization now, sort of a pagan organization which indirectly was influenced by my being there or my writings. They are called Romuva, which is the name of a sacred hill and also described as a sanctuary in the 14th century. So this is the name for this reawakening of pagan rituals." 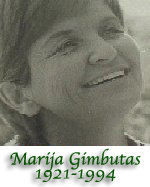 Marija Gimbutas in Slovakia, 1991.